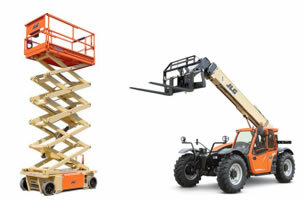 Scissor Lifts and telehandlers are two machines used to lift and carry objects and have many uses for building, maintenance and construction. They both fall into the categories of elevated work platforms and have some large differences that alter the way that they are each used. A scissor lift is a vertical lift that operates using a series of interconnecting cross-sections that open and close just like scissors. 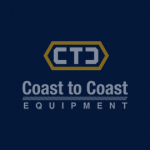 This means that these machines can compress or extend directly upwards but that the work platform itself cannot be moved or steered in other directions (as it can with a telescopic boom which is useful for reaching difficult-to-reach areas). The fact that the scissor lift operates directly beneath the supportive platform also means that the machine can bear a large amount of weight as it is pushing directly down on the scissors as they push directly upwards. The hydraulic nature of the machine also means that there is a failsafe. Should the power cut or the system falter, then the scissor lift will still compress gently with the air or water inside offering resistance. These factors mean that scissor lifts can take on enormous weights, and makes them useful for lifting not only workers who need to work at a higher level, but also heavy objects and materials that need to be raised to another level. When it comes to telehandlers, they are much more like telescopic booms in the way they operate. The end is on a crane with a neck and multiple moveable joints. This means that the end can be more precisely controlled and steered into specific areas rather than just going up and down. Unlike a telescopic boom however, there is no area for a worker to stand on. Instead there is a fork that allows the end to get under and lift crates and palettes and other heavy items and to place them down gently. This means that they can move and place heavy items in specific areas without needing a worker to stand on the platform. These two machines are different in many ways and have different strengths and weaknesses. Take a look at the pros and cons below.